I fell in love with all of the Fall wreaths and Halloween wreaths I saw linked up to Show and Tell Saturday this week! 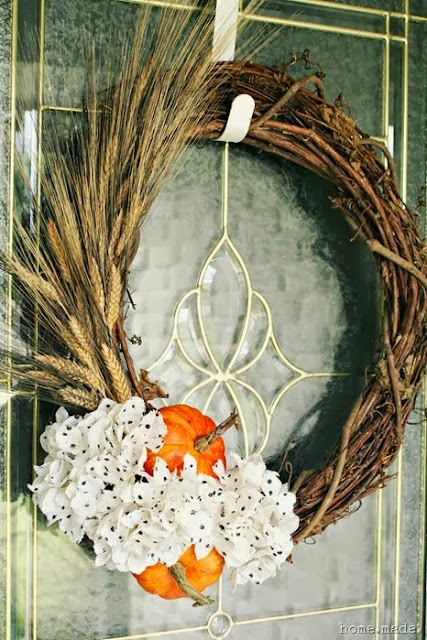 Beautiful wreaths like this wheat and hydrangea Fall wreath from Home Made. Tomorrow is the first day of October and it is also my deadline to get out my decorations!! I need to get something up on my front door pronto! If you are looking for a little inspiration to help you get cracking on your decorations, here are a few of the wreaths I loved from this week. 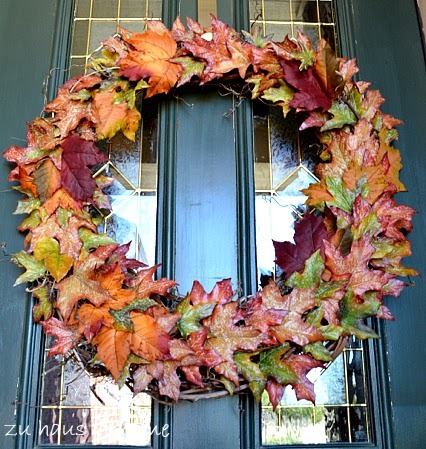 And Moni from Zu Haus at Home used a stash of faux leaves to create her colorful colorful Fall leaf wreath. 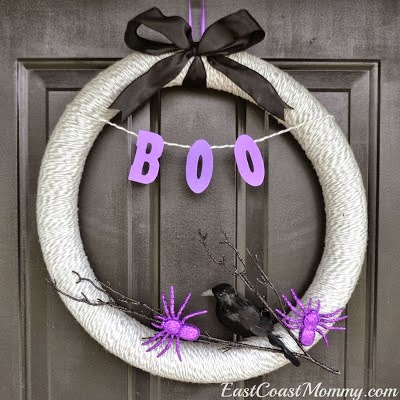 If you want something super inexpensive to decorate your door for Halloween, East Coast Mommy shows you how to make this Dollar Store Halloween Wreath. 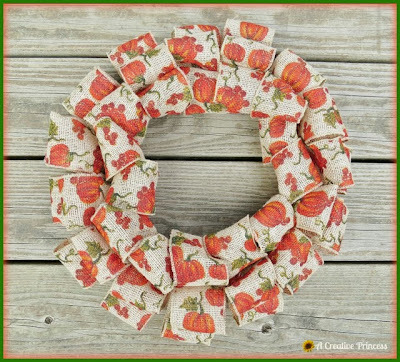 And if you happen to have some burlap ribbon lying around, you will want to check out this burlap ribbon Fall wreath from A Creative Princess. 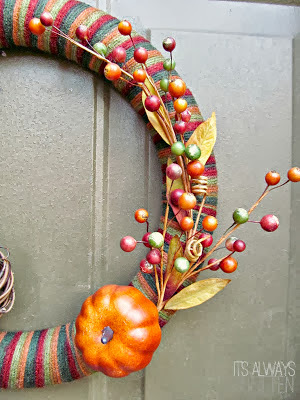 I would love to see your Fall wreath! Leave a link in the comments and I will pin them to my Fall Wreath board on Pinterest. Thank you for featuring our Gemstone Spider Wreath! I love all of these! 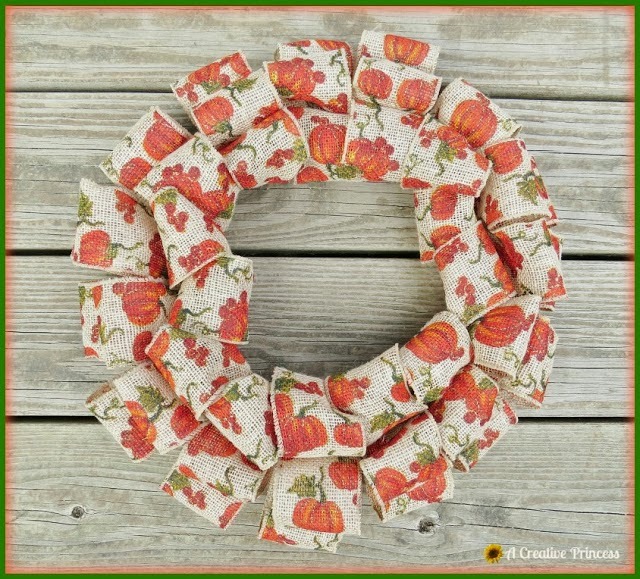 Thank you so much for including my Berry Excited for Fall wreath!